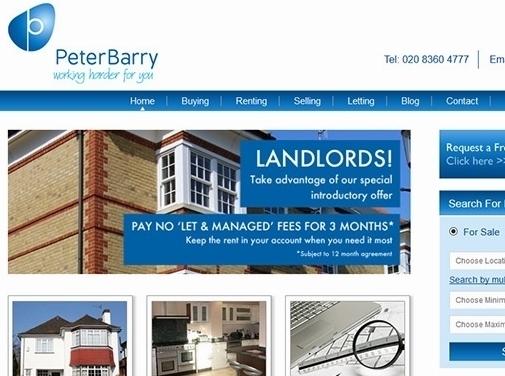 Peter Barry Estate Agents are a team of professional estate agents who specialise in bringing together prospective buyers and tenants with home owners wishing to sell or let their home in Winchmore Hill, North London and many of the neighbouring areas. Peter Barry Estate Agents also provide tenants for long-term and short-term letting agreements where required. Peter Barry Estate Agents provides an up-to-date and comprehensive list of all the best buyers and prospective tenants looking to purchase or rent a property in your local area. Peter Barry Estate Agents deals specifically with areas in North London, including Winchmore Hill, Arnos Grove, Bush Hill Park, Bounds Green and Southgate. If you need a swift and easy way to sell your home professionally, look no further than Peter Barry Estate Agents. Get in touch with the experienced team today by visiting their website, or by contacting them directly. As professional Letting Agents in North London, Peter Barry Estate Agents combine a passion for finding the best deals available, with in-depth knowledge of the local area in order to ensure complete satisfaction for all clients. UK (London) based business - established in 1983 - providing estate agency services. Website includes details of services provided, "meet the team" page, testimonials, associations, terms and conditions, blog, full contact details.